Rolfe sailed from England to Virginia in 1609, but, because of a shipwreck, did not arrive until 1610. He was the first planter to profit from the cultivation of tobacco, which became Virginia’s principal export, but he is most famous for marrying Pocahontas, daughter of the powerful Indian chief Powhatan, on April 5, 1614. The marriage helped to ensure peace between Jamestown and the Indians. 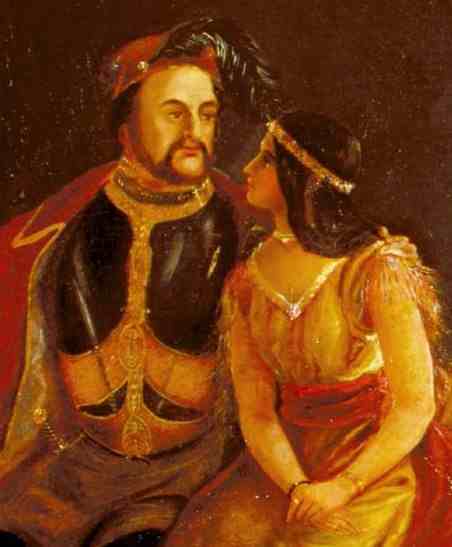 Rolfe returned with Pocahontas to England, where he presented her at the court of James I. She was warmly greeted, but, tragically, succumbed to smallpox in March 1617.